The Ewes talk knitting and then have a discussion of dyeing techniques in answer to a listener question. An Enzo update and some bee news round out the episode. Join the community on Ravelry or email us with your thoughts. twoewes@twoewesfiberadventures.com is our email address or you click contact us on the website. Marsha finished Mountain High by Heidi Kirrmaier using The Croft Shetland Tweed by West Yorkshire Spinners that she bought at the The Yarn Cake in Glasgow. The sweater fits beautifully and she’s happy with her modifications. 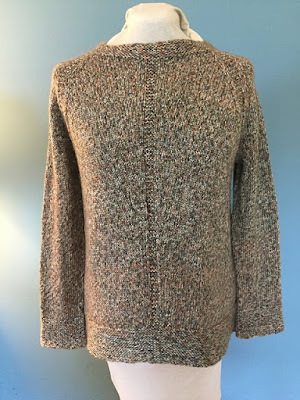 She is still looking for a pullover pattern for her brother using New Lanark Wool & Textiles DK that she bought at the mill in New Lanark, Scotland last March. 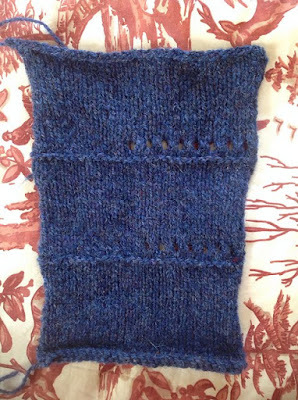 Kelly continues to work on Koru by Aroha Knits using the Dragonfly Fibers Dance Rustic Silk. She ripped out the mistake and is now making good progress. 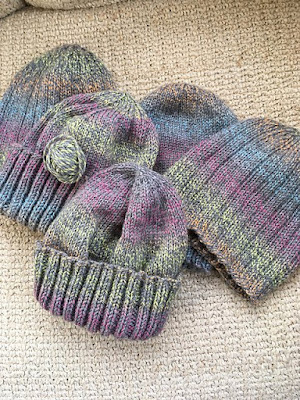 She also finished 5 hats from spirit yarn (destash yarn): Caron Simply soft Mardi Gray. Variegated gray with soft pink, yellow and green. Acrylic yarn, called Mardi Gray. It was a full bag of 4 balls, 150 yards in each ball. Kelly and Marsha talk about choosing and blending colors, the different techniques they’ve tried over the years and in particular under-dyeing and over-dyeing. Kelly tells about her natural dyeing experiments and Marsha found two dyeing classes on Craftsy (now Bluprint) that she thinks she may try. Both are taught by Sarah Eyre. Professional Yarn Dyeing at Home: dyeing solids, semi-solids speckled, and variegated. Discusses yarns, dyes, mordants, safety, gear and studio set up. Next Steps in Dyeing: gradients, sock blanks, self-striping, hand-painted, dyeing fibers. The Two Ewes are having a giveaway for notecards that they received as a promotion from theTwenty Stitches booth at Stitches West. Twenty Stitches has beautiful cards, tags, gift boxes, and kits to make them. Here is an description of the product from the website. "Clear instructions, pre-cut and perfectly spaced embroidery holes, a #20 Chenille needle, and all the necessary thread and adhesives are included in our kits, making it easy to create perfectly embroidered notecards, tags, and giftboxes. Our book artsinspired samplers are a fun way to practice or learn twenty embroidery stitches." Head over to the Giveaway Thread in the Ravelry Group to see how to enter. The giveaway thread will be open until May 8 when we will draw a winner for a pack of notecards to embroider. Winter Weave Along ends March 31. Don’t forget to enter your weaving projects in the FO thread on Ravelry. Next episode will be a celebration of weaving and a drawing for prizes.